I do. I used to go there often when I was young (as a part of some sort of reading reward program), and I was never a huge fan. Now that I understand myself and my relationship with pizza a little better, I know why I don't like Pizza Hut: I don't like how thick their pizza is (I prefer thinner crusts) + it's greasy and cheap tasting (even Michael doesn't like it...and this is the boy who gets excited about Easy Mac). But-my one exception to the Pizza Hut hatred is their breadsticks. Ohhhh those breadsticks are DELICIOUS! Absolutely horrid for you, I'm sure, but sooo yummy! Enter these breadsticks, which taste close enough that I think I need never go to Pizza Hut again (not that I went very often to begin with). Now, truth time: I prefer the herbed oatmeal bread that I've made before to these, it has similiar flavors but is way easier to make and has a much better texture. 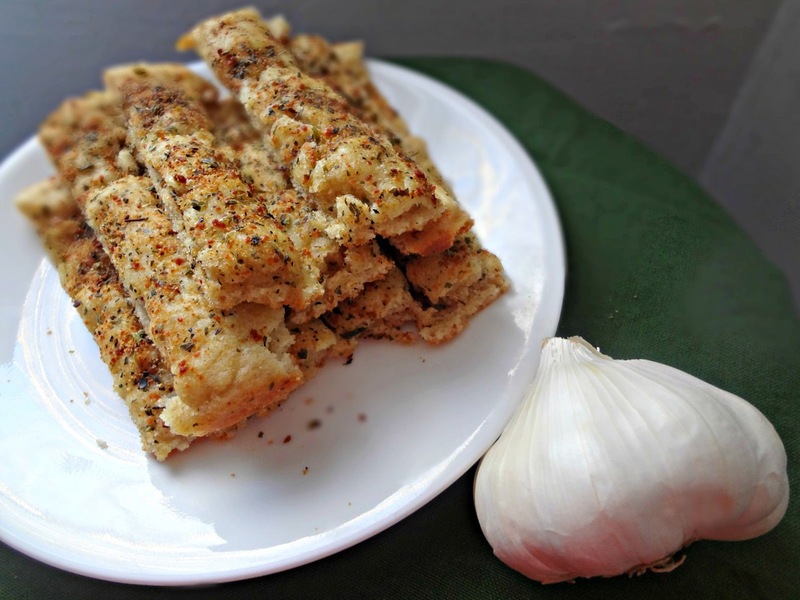 BUT, if breadsticks are what your heart is set on, definitely go for these! I made a few mistakes whilst making them, but I've changed up some of the instructions to help keep you from doing the same (I foolishly followed the directions to cover the dough with plastic wrap...and then it got stuck...*sigh*). 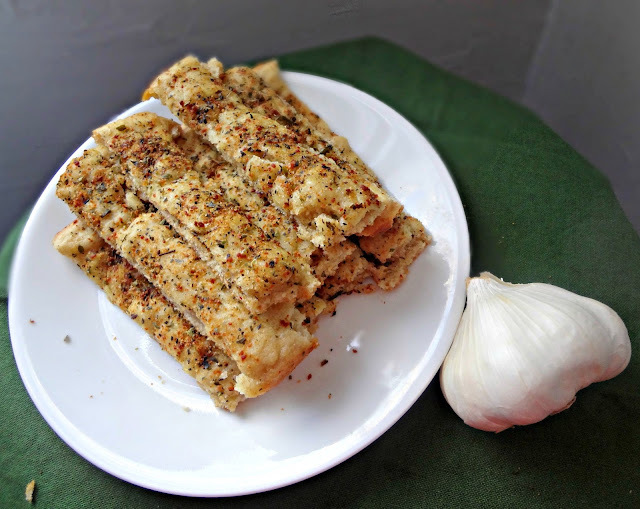 They're actually not too bad for you (no butter, just some olive oil) and they are super flavorful and addictive! Makes approx. 2-3 dozen breadsticks. Spray a half sheet pan (18x13") with cooking spray, then drizzle 1-2 tbsp. olive oil evenly over the bottom. In a large bowl (or in the bowl of a stand mixer fitted with a paddle attachment), combine water, yeast, and 3 tbsp. olive oil. Mix in the flour and salt until combined into a sticky dough. Press the dough onto the pan, using oiled fingers to spread to the edges of the pan. Use a pizza cutter or knife to cut the dough into 18 strips (13 in. tall, 3/4 in. wide), then score lengthwise through the middle-you should have 26 strips in all. Cover loosely with a towel and allow to rise in a warm place for 1 hour. 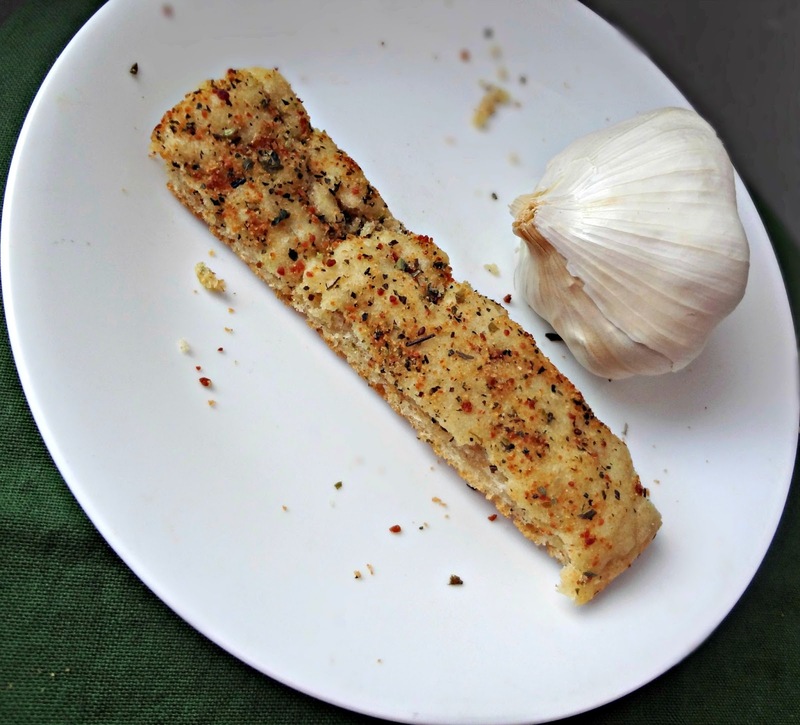 Create breadstick seasoning by combining the Parmesan, garlic powder/salt, onion powder, oregano, and basil in a small bowl. 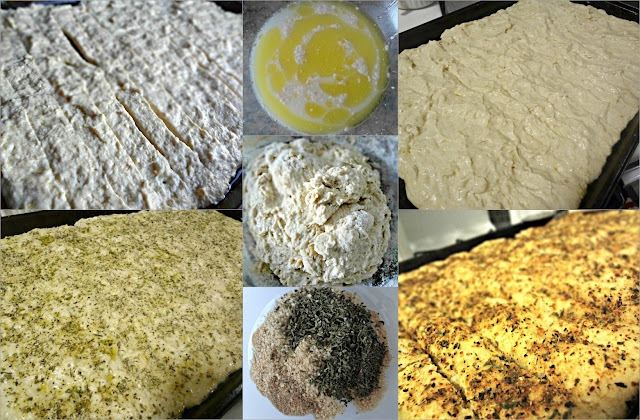 Once slightly risen, brush the dough with some olive oil then evenly sprinkle with the seasonings. Bake 25 minutes, or until lightly browned. After they have cooled enough to handle, cut along the score lines to separate into individual breadsticks. Then, turn each breadstick on its side and bake for 5 more minutes.